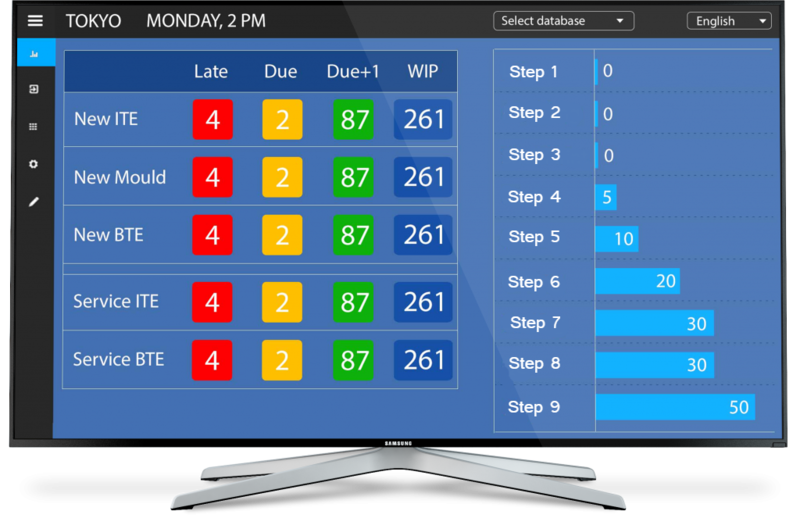 Our client, operating in the production industry, was looking for an app that would help in keeping track of the manufacturing process in his company. 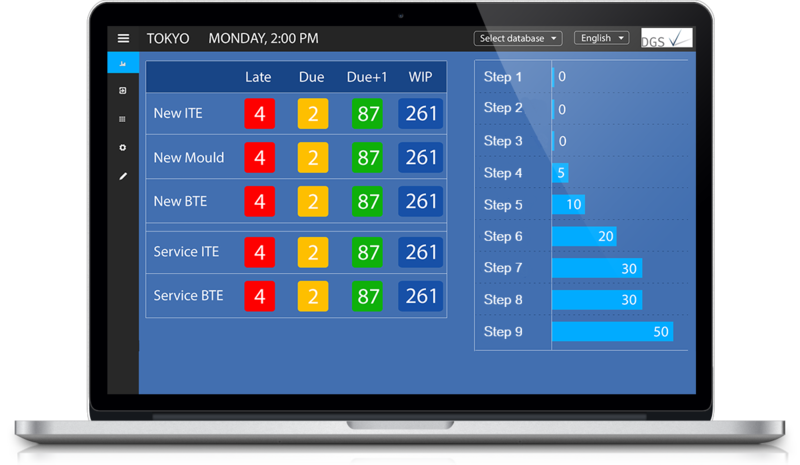 Our task was to create a multilingual application which was integrated with the ERP system the client uses. 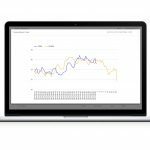 The app was to display selected data from specific production department databases and provide basic configuration functions. To create a new app that is modern and lightweight that extends the functionality of the current application, shows more data and provides more advanced customization. The app should receive data from existing databases and should be connected to more than one database. Each database represents a different company center in different locations and there should be a possibility to switch between the databases on the frontend. The app should be multilingual. DGS, a global organization, which belongs to the William Demant Holding, a producer of hearing aids, diagnostic instruments and interactive personal communication devices. 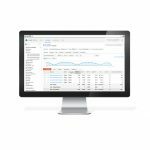 Fixed elements of the application include the side menu, which switches between next views of the app and a top bar, with elements allowing users to select the app language, switch between databases and view information such as location and local time. The first view shows the product status table and graph with the number of products in each phase of the production process. All data is retrieved from the relevant database associated with a particular branch of DGS. 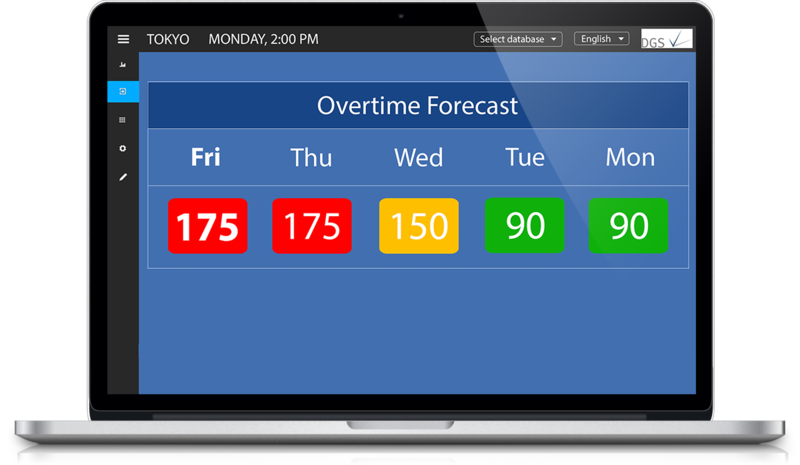 These numbers visible in the table are calculated for a particular day, and are shown in the second view as ‘Overtime Forecast’ values. The colors tell users whether the capacity is achievable or if it’s too much (green = achievable, yellow = harder to achieve, red = impossible to achieve). The limit parameter for these capacities is editable on the configuration page and for each database separately. 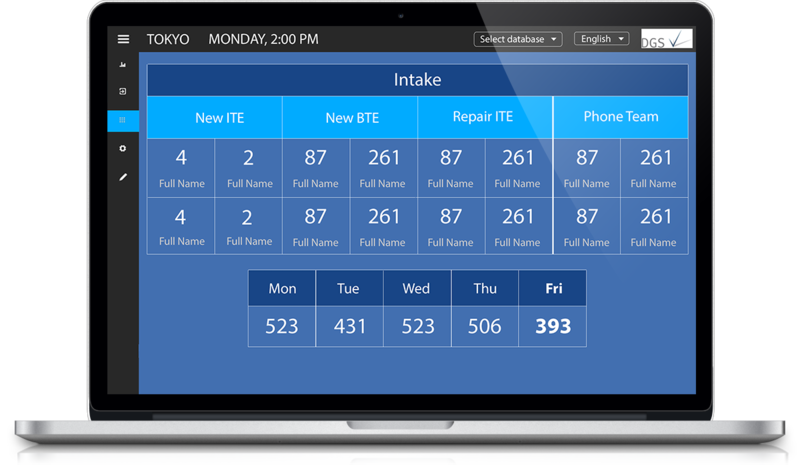 The third view displays the number of orders made by specific employees on the current day in each of four groups (New ITE, New BTE, Repair ITE, Phone Team). The table below displays the sum of all orders made by employees on a given day of the week. The database we received data from is MS SQL running on Windows Server that uses ERP Microsoft Dynamics, Navision. We got this data from a report in the ERP system using complex SQL queries. The app retrieves data from various databases integrated with it, and the choice of the database from which we get data takes place from the application level. The app allows the client to configure each database on the Settings page. The application has two configuration views, one for database configuration and one for translation configuration. 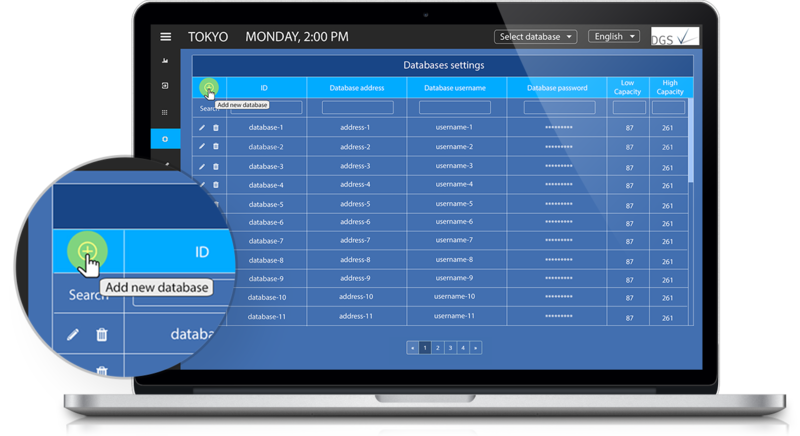 The database settings table shows the connected databases, allowing the client to add new databases to be used in the application. For each of them, it is possible to set the location and time zone and also the smallest and highest values that determine the appropriate status for Overtime Forecast. In the Translations settings table, the app user can edit translation up to 4 particular languages and these translations are updated in real-time. Both tables are equipped with a search engine and paginators for smooth navigation. © Copyright Web Bespokers. All rights reserved.